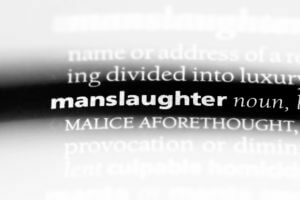 The word “manslaughter” carries a strong feeling, just shy of the force of the word murder. Under New Jersey law, the offense of manslaughter is treated as one of the most serious violent crimes. If you or a loved one are facing charges for manslaughter in New Jersey, it is imperative that you obtain the representation of a skilled criminal defense lawyer, as the potential consequences you may face if convicted include serious prison time. Experienced New Jersey criminal defense attorney William C. Fay has been successfully fighting criminal charges for years. With his former position investigating and prosecuting cases for the New Jersey Attorney General’s Office, Mr. Fay now uses his proven trial tactics and unwavering commitment to pursue the best result. To find out how Mr. Fay and the team at our Camden County criminal defense law firm can help you with the serious charges and penalties you face for manslaughter, contact our local office at 609-832-3202. You can also fill out our online form to arrange an free, confidential consultation. If you are charged with manslaughter in New Jersey, it means that you are accused of causing the death of another person by consciously disregarding a substantial and unjustifiable risk. There are a few different types of manslaughter under New Jersey law, including: aggravated manslaughter, vehicular manslaughter, reckless manslaughter, and manslaughter involving the heat of passion. Here is an explanation of the various forms of manslaughter that may lead to criminal charges under N.J.S.A. 2C:11-4 or N.J.S.A. 2C:11-5. You may be charged with vehicular manslaughter if it is alleged that you caused the death of another person by driving recklessly. This may involve dangerous and erratic driving, speeding, driving while under the influence of drugs or alcohol, or killing someone while attempting to elude police. If you are alleged to have recklessly caused the death of another person in a context other than while driving, or if you willfully kill someone with reasonable provocation but without a reasonable opportunity to “cool off,” you may be charged with a second degree crime for manslaughter. Finally, the most serious level of manslaughter is first degree aggravated manslaughter. You may be charged with this offense if you are accused of causing the death of another person while manifesting extreme indifference to human life. Potential sentences for a manslaughter conviction in New Jersey are significant and increase in severity with each different level of manslaughter charge. All second degree manslaughter convictions carry the potential of fines of up to $150,000 and prison time of between 5 and 10 years. If convicted of vehicular manslaughter, you may lose your driver’s license for 2 years and face a 5 to 10 year term of incarceration. First degree aggravated manslaughter, the most serious manslaughter offense, carries a potential sentence of $200,000 in fines and 10 to 20 years in prison. Additionally, pursuant to New Jersey’s “No Early Release Act,” defendants who are convicted of manslaughter are required to serve at least 85% of their sentence before they become eligible for parole. What are the possible defenses for a manslaughter charge? The potential defenses available to you in your case depend on the specific facts. As in any criminal case, in order to obtain a conviction, the prosecution must prove its case beyond a reasonable doubt to a unanimous jury. This means that if even one juror has a reasonable doubt as to whether you actually committed manslaughter, you should be found not guilty. If the police improperly obtained evidence in your case, in violation of your Constitutional rights, your lawyer may be able to get that evidence excluded from the record. This can make it much more difficult, and sometimes even impossible, for the prosecution to prove its case beyond a reasonable doubt. Other common defenses include a lack of the requisite mens rea. Mens rea is your state of mind and level of intent to commit the offense. For example, if you are charged with vehicular manslaughter and your lawyer successfully argues that you were not driving recklessly, but merely negligently, you should be found not guilty of the offense. The most important thing to do when charged with manslaughter in New Jersey is to have an experienced criminal defense lawyer review your case to identify the best course of action. Targeting the key points of your defense and successfully arguing them in court can truly determine the outcome of your case. If you or a loved one has been charged with manslaughter in New Jersey, you need a knowledgeable, skilled, and experienced criminal defense lawyer to defend you. The attorneys at our criminal defense law firm are thoroughly prepared to review your case and determine your best defense, as we have done this for years for clients in Camden, Cherry Hill, Mount Laurel, Berlin, Haddonfield, and Waterford, and throughout South Jersey. For more information and to speak with an attorney today, call our law office at 609-832-3202.